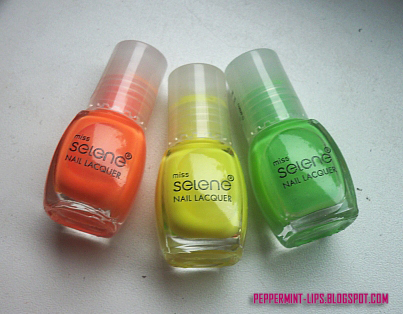 Today I want to show you my Miss Selene nail polish collection. I found their little section in the mall one day, and I got so many, because I loved the color pallete and also price was really tempting ($1). What I can say about these products is that they last long (usually 4 days ), and when you will compare it with the price, it's really worth it. 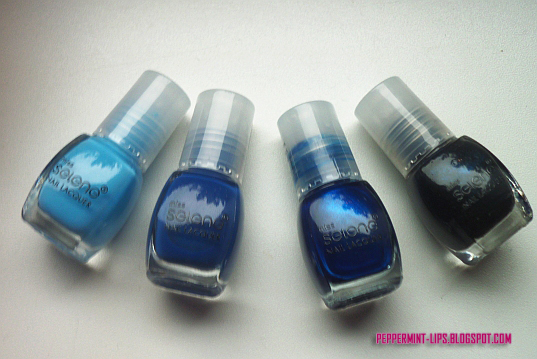 Colors are really beautiful, but you need to be careful choosing colors, especially with light shades, because some of them are very hmm "watery"...This light blue and first purple on the left look really pretty in the bottle, but on the nails, after 2 layers you barely see the color... But on the other hand all others that I bought are really nice, rich and colors look just like you see it in the bottle. So far my favorites are all three last blue, and green, haven't try orange yet. I'm curious, if any of you tried them ? wow i love the collection...addindg to muy shopping list..
Wow! these are so pretty. 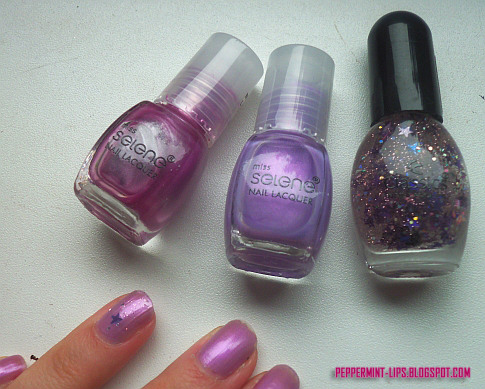 I love the purple and the last set of blue polishes. These are HOT! Love them! a great blog, can i follow you via email as i do not have bloglovin, or do you have google friends?